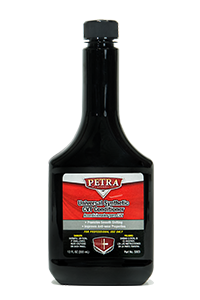 Formulated for use with all transmissions and transmission fluids, Petra Transmission System Cleaner cleans away harmful sludge, varnish and deposits while helping to extend o-rings and seal life. As ATF deteriorates, sludge and varnish can build up leading to transmission failure. 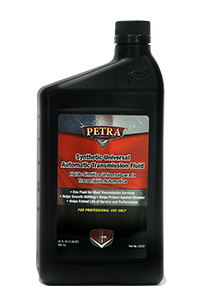 Petra Transmission System Cleaner removes sludge, varnish and other contaminants from the transmission, torque converter, pump, ATF cooler and fluid lines. Keeping the system clean improves shifting and extends the life of the transmission. 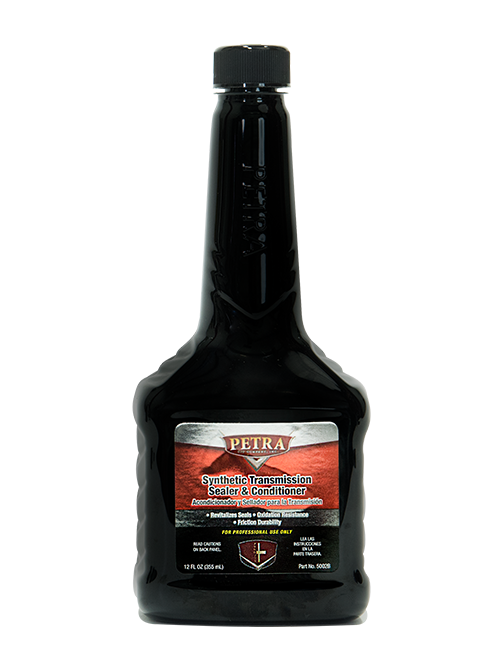 Petra Transmission Conditioner and Sealer is manufactured to create an additional lubrication and leak prevention benefit for transmissions being utilized under normal and severe driving conditions. 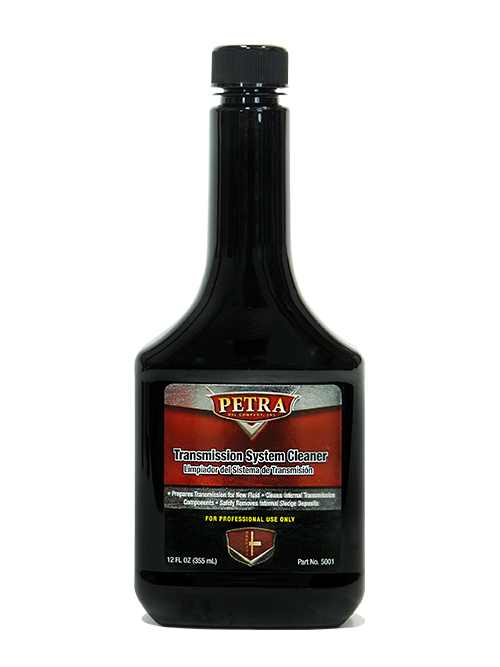 This product is safe and effective in the use of all transmissions and with all SLF Automatic Transmission Fluids. When ATF breaks down, the fluid is less capable of lubricating seals and gaskets, as they become dry and brittle leaks develop and fluid loss occurs. Keeping the fluid eective under extreme heat and friction sometimes requires rejuvenating fluids that were left behind in the torque converter if a pan drain was performed. Petra Universal Synthetic CVT Conditioner is manufactured to improve anti-wear properties. It is designed to keep seals soft and pliable while promoting smooth shifting. By design, CVT’s high speed operation and extreme pressure can cause severe degradation to the CVT fluid. 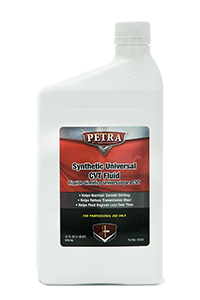 Petra’s Synthetic Universal CVT conditioner is formulated to prolong the CVT fluid as well as help prevent or slow down the formulation of deposits. 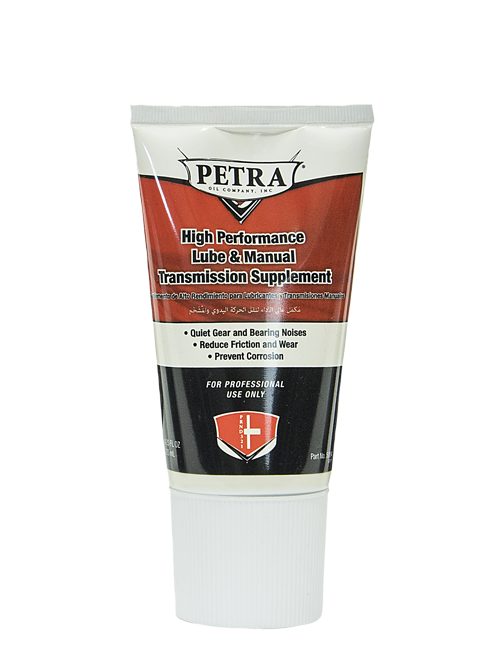 Petra High Performance Lube & Manual Transmission Supplement is specially formulated to quiet gear and bearing noises, reduce friction and wear, and prevent corrosion. This product improves the performance for all applications when GL-5 differential gear lubricants are recommended. Ideal for use in manual transmission, manual transaxle assemblies, differentials and other components where the vehicle manufacturer recommends the use of GL-5 extreme pressure gear oils. 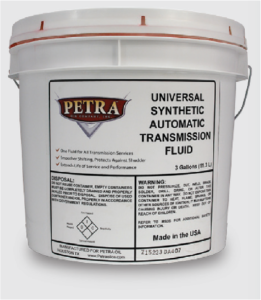 Petra universal ATF is specially formulated for the latest generation of high efficiency automatic gear transmissions of all North American, European and Asian passenger and commercial vehicles. 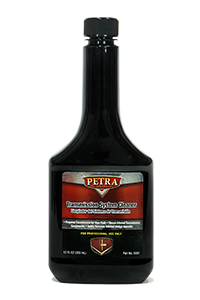 Helps provide exceptional oxidation, wear frictional stability, sludge and deposit prevention, and anti-shudder properties required in todays high performance transmissions. Also designed to deliver premium performance in older transmissions. Petra Universal CVT Fluid is a high quality Full Synthetic Transmission Fluid with special additives designed for belt-CVT’s. Fluid works excellent in metal-metal friction applications and provides good torque transfer. 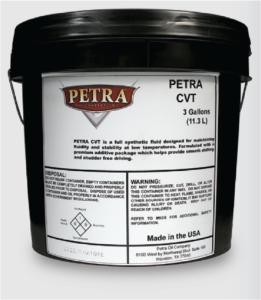 Petra Universal CVT Fluid is not recommended for VW/Audi and Ford CVT-30 and Toyota Hybrid CVT. 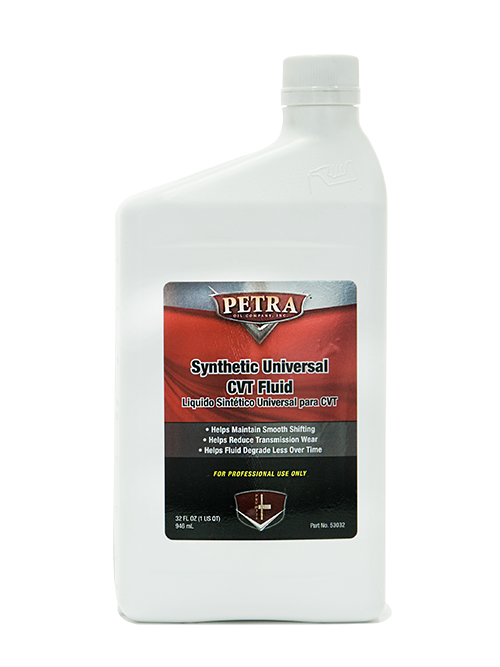 Full Synthetic CVT Fluid designed for use in most CVT applications. 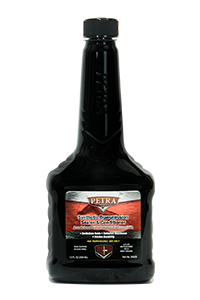 A high performance fluid that eliminates having to stock different fluid brands. 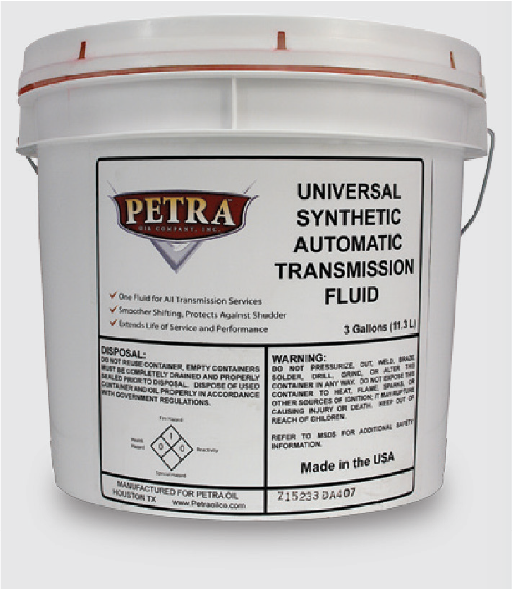 Petra universal ATF is specially formulated for the latest generation of high efficiency automatic gear transmissions of all North American, European and Asian passenger and commercial vehicles. 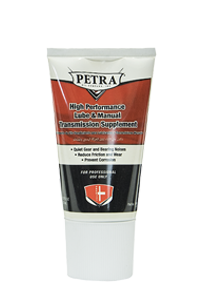 Helps provide exceptional oxidation, wear frictional stability, sludge and deposit prevention, and anti-shudder properties required in todays high performance transmissions. Also designed to deliver premium performance in older transmissions. 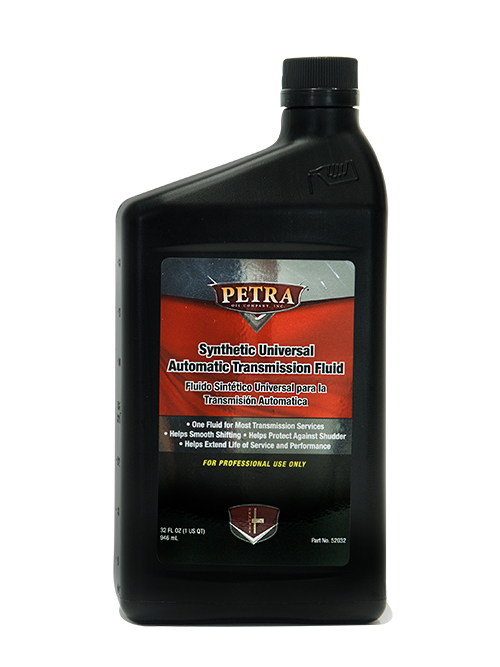 Petra Universal Synthetic CVT Fluid is a high quality Full Synthetic Transmission Fluid with special additives designed for belt-CVT's. Fluid works excellent in metal-metal friction applications and provides good torque transfer.